SAN DIEGO, January 3, 2019	(Newswire.com) - AVRP Skyport announced that Tamara Miller, IIDA, CID, NCIDQ, LEED AP ID+C, WELL AP has joined the firm in the role of Managing Director for the Interiors studio. 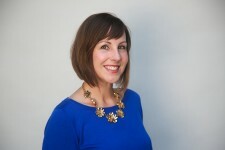 Ms. Miller brings 15 years experience with leadership in Well Building and Sustainability to the practice. AVRP is widely known across the country and internationally for planning prominent, visionary and vibrant interior and architecture projects. Ms. Miller intends on accelerating the firm's leadership in environmentally responsible built environments. As Managing Director, Ms. Miller will be instrumental in furthering the continued growth of AVRP Skyport's presence in both local and national markets. She will be working closely with Christopher T. Veum, Assoc. AIA, IIDA. Ms. Miller holds a Bachelors of Science in Design and Environmental Analysis, with a concentration in Human Factors and Ergonomics, from Cornell University. "We spend more than 90 percent of our time indoors, and our built spaces have the ability to contribute significantly to the occupants’ health and wellness," says Tamara. "By focusing on air, water, nourishment, light, fitness, comfort, and mind; our design approach promotes a human-centered solution." "Tamara brings a renewed focus on the wellness of our Client's employees, and the sustainability of their design solutions," states AVRP’s President, Christopher T. Veum, Assoc. AIA, IIDA. "Her leadership in design and Green Building aligns perfectly with the firm's mission." Prior to joining AVRP, Ms. Miller served as a Project Designer for LPA Inc.
AVRP Skyport is widely known across the region for its decades of design excellence, creativity, and planning some of the most prominent, visionary, and vibrant projects.